They do look pretty, but I’ve just picked up a box of fifty Bic’s from Officeworks, so can’t really justify going out for more pens. It’s a good thing K-Mart is two bus rides away or I might be tempted to get just one. 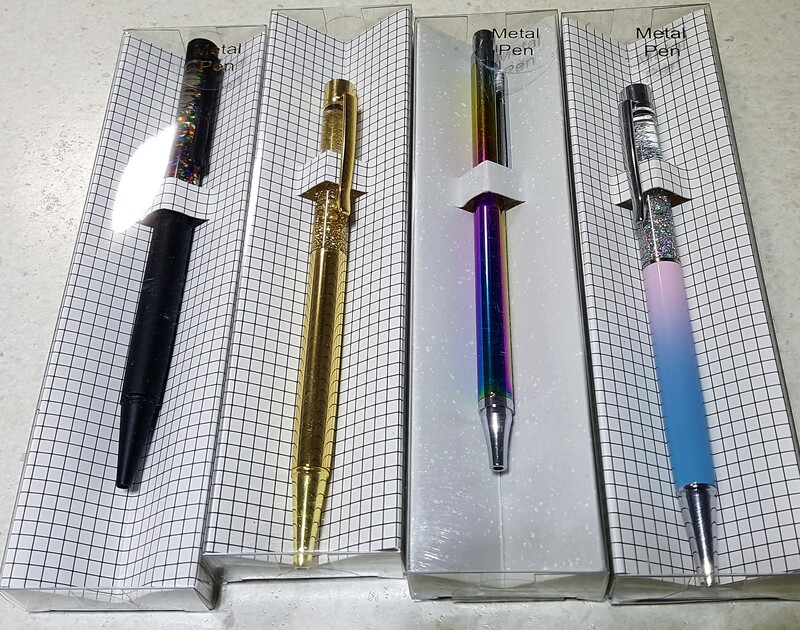 These pens are beauties. I’ve had some fairly expensive pens (for me) and many cheap ones. Some of the cheap ones are my favorites. I am a huge fan of pens. Hubby buys a brand I like by the gross! I go through them very quickly as I handwrite my journal every day. You are fortunate to have found a lovely pen you like. Hopefully your Kmart will stay in business. Ours have all closed.